WSS worked with Cardinal Greenways several years ago on their new website, and they recently approached us about updating some of the images and content. 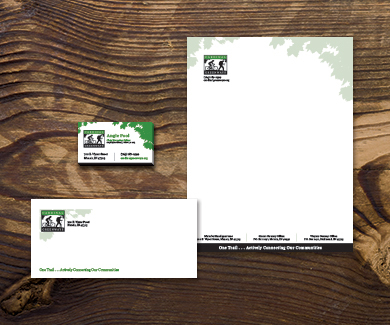 After working with them through that process, we talked with CEO, Angie Pool about refreshing their stationary as well. We provided them with a redesigned package of letterhead, standard #10 envelopes, business cards, remittance envelopes, and magnetic name badges for the staff. Each piece was designed to be consistent with the Cardinal Greenways brand while borrowing aesthetic aspects from their website for a unified look throughout. Whitinger Strategic Services recently assisted the Youth Opportunity Center in promoting the YOC’s newly launched STARS (Skills Training for Adolescents in Residential Services) program to various agencies across the state of Indiana. The STARS Unit is a unique residential treatment program devoted to helping adolescents who have developmental and intellectual disabilities, including autism spectrum disorders. 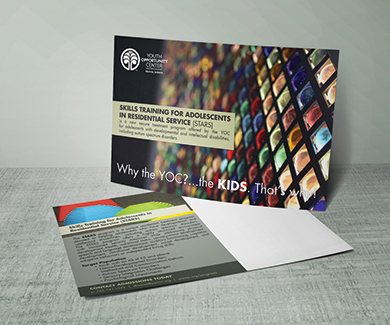 WSS created a clean, eye-catching direct mail piece and corresponding email campaign to inform YOC placing agents about this unique program.  Muncie Habitat for Humanity is a long-time client of Whitinger Strategic Services. 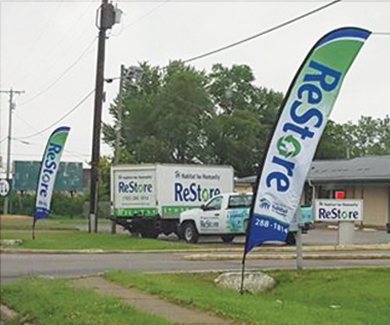 After the recent move of Habitat’s ReStore, Executive Director, Lindsey Arthur expressed concern that clients were not identifying their new location. After consulting with her, we recommended two 13-foot wind sail signs to stand right off the roadway. Using the elements in their brand guide, we created a design and had them delivered within a week. The signs were an affordable and impactful addition to the marketing campaign we developed. The ReStore is now catching the attention of donors and shoppers alike.